Here we are and its Tuesday!! Not only that, but its the second-to-last day of the month, and then its August! Okay what's with all the exclamation points.. Anyways, I have another hair tutorial for you today, and this is one that I've been doing a lot lately! I've worn it out on hot dates and just to run errands with my hoard of children, and no matter where I go people compliment me:) So! I decided that i really needed to do a tutorial for it so I can send all those lovely people here to see how its done! Usually I don't stick to just one type of hairstyle for weeks in a row, but one type I've stuck to this summer has been buns! Big surprise I know since the whole world wants to keep their hair off their neck during the hot months, but I've been experimenting with so many different kinds of buns, and its taking a lot of restraint to not post millions of buns every day here on the blog.haha This one's the exception! What I love most about this style as I said before is that its effortless enough to wear to a ball game and then on the other hand its so chic and elegant! It only takes me a few minutes to complete, and even though I don't feel like it needs a whole ton of instructions, you know I like to be thorough! Besides what's worse then confusing or incomplete tutorials? :) Here we go! Step 1: start with slightly dirty hair for grip:) put a finger by your ear and draw a straight vertical line from one ear to the other, sectioning off the front and cliping it up for later. Updates: Take the rest of your hair and pull it up high on your head into a ponytail with one hairtie. (you're essentially just making a high messy bun next.) Take the ponytail in one hand and a hairtie in the other and pull your hair almost all the way through the hairtie. leaving the last couple inches of hair out so once you twist the hairtie you have a big loop of hair. Step 2: Now grab the middle of the big loop of hair with the fingers through the ponytail, pull the hairtie half over your now smashed bun of hair, twist once more and pull the hairtie all the way over to the other side. You should be left with a messy knot of hair secured well. Pin the sides down a bit if you wish with bobby pins. Step 3: pulling the front of your hair down, split it in half, then split both halves in half so you're left with four quarters. Comb one of your bottom quarters to smooth it out, and wrap it under and up over the bun, pinning to secure. Step 4: do the same thing with the other bottom quarter. next take one of your top quarters (teasing the back a bit first if you wish) and smooth it diagonally over your head towards the opposite side of your bun, and go around coming back up around and pinning. Step 5: Do the same with your last quarter, fluffing out the top a bunch with your fingers and spraying with some good hold hairspray. Go over your head in a two way mirror if you have one to make sure there aren't too many fly-aways going on all over the place, and to secure your separated sections for that really structural look, and you're all done! Thanks so much for visiting today! If you like what you see don't forget to follow my blog on whatever vain of social media you prefer because I am just about everywhere, and be sure and let me know if there are any tutorials you'd like to see, or what you like or don't like about this one, etc! Have a lovely Tuesday everyone, and I'll see you tomorrow!! I've gotta try this one!! You make it look so easy :) Thanks for sharing this with us! No problem Alli! my pleasure. Hope it turns out great! Love this look, its so cute! Thanks for taking the time to share! I'm so glad you posted this! Its actually exactly what I've been looking for. Something that's wondrously simple, yet looks styled enough to make it seem like a lot of effort went into it! Thank you SO much! I'm so glad to hear that. I really love doing it often, and even though I take a million pictures and add so many words to make it simpler, it really is a lot easier then I think I make it appear! how do you keep your hair so long through pregnancies? my hair used to be as long as yours, but a few months after my first delivery i lost so much hair that it took me at least 1 hour untangling my hair every time i took a shower (WITH TONS OF CONDITIONER)... so i cut it off. I actually have a few hair care tip posts that are linked in my hairstyles tab I believe, but I've just tried to trim it every time I get frustrated with it.haha and I have martins voice in my ear telling me how he'll never forgive me if I cut it off.haha Maybe that helps me! To be honest, you lost me at the bun instructions, but it seems like you're just making a messy bun then wrapping hair around/over, essentially. Right? Either way, I love the look!! I think I'll have to try this one! SO sorry! Its the fastest and easiest part of the bun and I make it sound horrible complex. I rewrote the instructions, and I am thinking there's a video on its way! haha But yes you got it, its just a messy bun really to start with. THank you love! I'm so excited about all the tutorials on their way. Thanks for all your sweet comments! Thanks for vsiting and commenting! THank you for visiting and commenting so much! YOu make my day! Thanks for the advice! I think I still failed at it. I had a hard time so I tried a simpler version, and it still doesn't look near as good as yours! But I mentioned you in my blog for credit! I love the picture exmaples, how do you take your step-by-step shots? THank you! my camera has a continuous shooting setting, helps a ton! Great tutorial! I've recently discovered your blog and you've inspired me to revive my own blog. You're truly adorable and talented! aww thank you so much!! That makes my day to hear that. I love blogging! I love this tutorial! 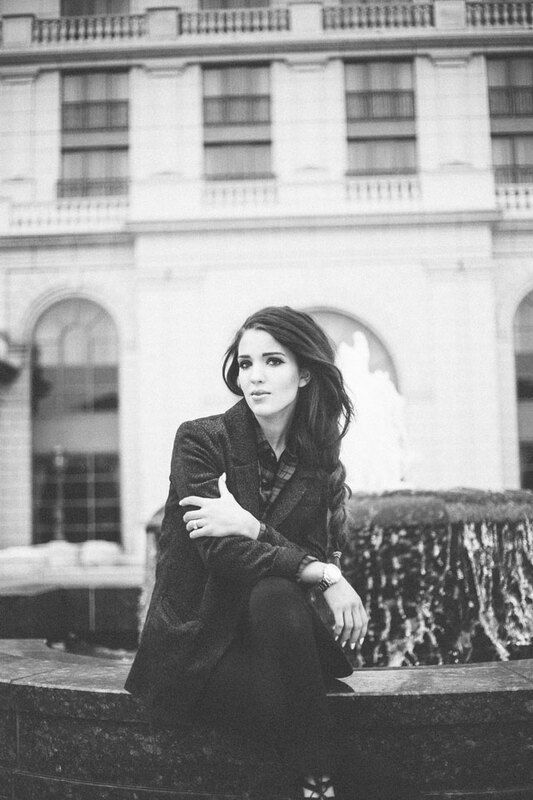 I've recently discovered your blog and I have to say that you are an incredible talented and gorgeous lady! You've inspired me to revive my own blog (long dead after barely starting). Thank you! Honestly....I love buns but I can never get them to not look like I am going to ballet class. I'll have to try this one out! By the way, can I just say that I think you are so beautiful and you wear pregnancy so well!! Have a great day! Love your blog! Thanks so much for visiting, and for your sweet comment!! THank you so much! I hate under-explained tutorials, and I just hope that I don't over explain or complicate them with all my pics and instructions. So easy and yet so pretty! Thanks for sharing, I can't wait to try! Thank you so much for telling me! I love hearing feedback, and I'm so glad you like it Chelsey! I really love this tutorial! I tried the look last night and my hair is way too thin to make the bun look this pretty... I will just have to keep playing with it. Try put a sock (like one you would cut for a sock bun) at the base of your ponytail and pinning your hair around it to cover the sock. This will give you that full messy bun look. I actually just gave some advice to another commenter, but if you are struggling with a thin bun you can do like Meg said wihch is to put a sock in it (tutorial link at the bottom of this comment:)) or you can tease it a bit beforehand, OR you can do like I do and after you've made the bun, tug the hair out a bit on all sides and spray it well for hold. it will help your messy bun appear a lot fuller! Oops! Here's the link for my sock bun tutorial in case you're interested! I'm sorry, but step 1/2 in making the bun itself does not make any sense at all. I've been trying for the past half hour and I'm getting nowhere :( a little more instruction please? No problem! I'm sorry you're having trouble with it:( I changed my instructions a bit and tried to better describe the process, though essentially you're just making a messy bun high on your head and using bobby pins to secure it down before starting the wrapping process. Thank you for your comment, and I hope you haver better luck with this bun! I think I'll have a video coming soon, and thank you for being a reader and supporter! Success! Thank you so much for your timely response and more thorough instructions :) I'm nearly illiterate when it comes to hairstyling anyways, so any bit helps. I look forward to trying out your other cute styles!! You've gained a new loyal reader! I am loving your hair tutorials and can't wait to try all these buns <3 you are positively gorgeous, by the way! This looks so perfect! I love that it could be an evening hairstyle or a daytime style- favourited for the future! I really want to try this, it looks so pretty! I have been looking for new things to do with my hair and this is great! I attempted this today and failed miserably. My problem may lie in the fact that I don't know how to do a messy bun but it was overall quite dreadful. Could you pretty please do a video of this lovely hairstyle?! 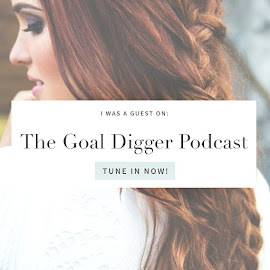 I just found your blog and LOVE IT!! I just spent the last 15 minutes reading all kinds of hair tutorials. Thanks so much! Can't wait for the YouTube tutorial! Look gorgeous!! Can't wait to see the YouTube tutorial! You look gorgeous and casually chic! How do you do your eye makeup?? I wore my hair like this pretty much all labor day weekend. It was so easy to do and so much more polished than a pony, thanks! Hi Emily, I've just done this hairstyle as I'm about to head out to work. Thank you! Good tutorial but it doesn’t affect your straight hair styles? Someone has reposted this as an abbreviated version on http://longhairstyleshowto.com/the-bouffant-bun/, I like this post better and glad I followed the link! Found the Victory Rolls and can't wait for a chance to try them. I'm struggling to get my long wavy, frizzy hair to look at all like your hair style. I keep getting stuck with my four wrapping sections. They do not lay smoothly like yours. Could you do a video please? I love your tutorials! Pretty pretty please put this one on YouTube! :) Beautiful! It is really nice, informative and effective tutorial, i learn lots of things from this tutorial to make a perfect hair bun style because i love this hair style too much. Your shared techniques are very easy and unique. You lost me at Step 2, but I love this look! Oh my gosh, you are my new best friend! I was such a tomboy growing up that at age 30 I still can't pull off more than a pony tail, but I love your tutorials and I successfully pulled this one off today, thank you!!! Emily, you are my new best friend! I was such a tomboy growing up that at age 30 I've struggled to pull off anything more complex than a ponytail but I successfully wore this awesome 'do today, thank you and keep it up!!! i love your hair styles and can't wait to see more on youtube! I would love to see a tutorial of this style. i tried it but it did not go well. 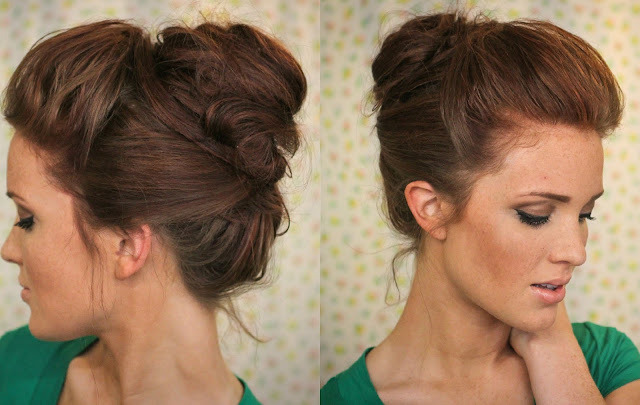 :) i'd also love to see a tutorial for the gibson tuck and knotted bun. Awesome! This website is a goldmine! Thank you so much, Emily) The hairstyles and other things are great! 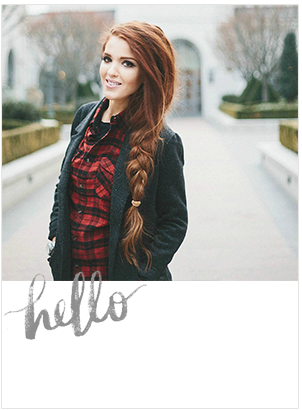 Thank you so much Emily for posting such a nice blog of hairstyle tutorials.I is awesome! This style is GORGEOUS. You are looking so pretty with this hair style. Hi! Just wondering if a video ever came out? I'm still confused about how to make the messy bun part, and am getting nowhere with it. Love this! Wondering the same as Kelsey... A video would be really helpful. I'm getting a little lost at the smashed bun party as well. Thanks!